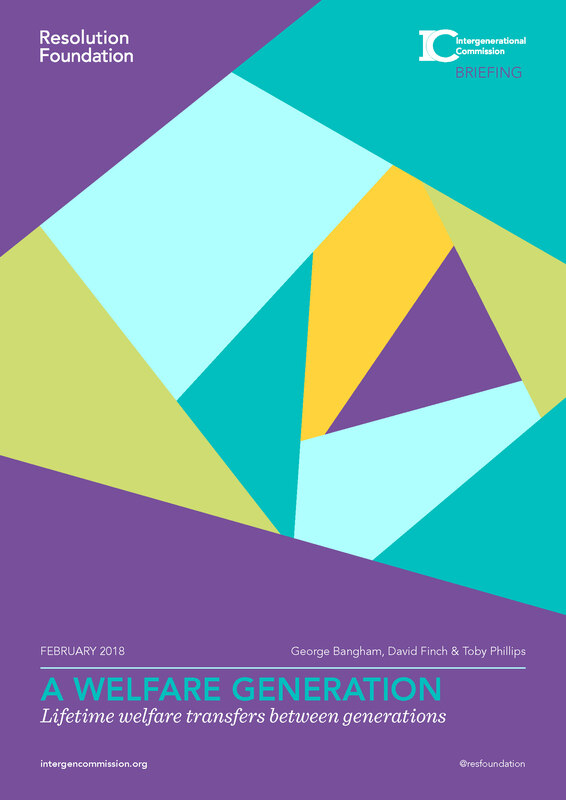 This research paper looks at what people put in and take out from the welfare state over their lifetime, updating John Hills’ seminal research on life-cycle welfare transfers between generations. It estimates the extent to which past and future cohorts contribute to the welfare state via taxation and withdraw from its core pillars – education, health and social security – over the course of their lifetimes. It finds that successive generations have received more from Britain’s welfare system than they have paid in, with baby boomers gaining the most so far and the pre-war ‘silent generation’ gaining the least. The UK welfare system runs on a ‘pay as you go’ basis, with workers contributing to fund support for children, pensioners and those in need. If longevity, cohort size and levels of tax and spend remained the same across time, then, with an annual balanced budget, successive cohorts would put in precisely what they take out. Of course in reality that is not the case, and variation in each of those factors shapes the extent to which different cohorts as a whole are net withdrawers from the welfare state over their lifetimes. Because the modern welfare state developed as they were in older working age, cohorts that have now mainly reached the end of their lives – members of the forgotten generation (born 1896-1910) and the oldest two-thirds of the greatest generation (1911-25) – emerge as clear net beneficiaries. Measured relative to GDP per capita, these cohorts’ average withdrawals from the welfare state were at least 25 per cent higher than their contributions. The silent generation (1926-45), however, were mostly in early working age during the establishment of the modern welfare state from the late-1940s onwards. This means that the increased spend on education for subsequent cohorts, along with health and pension provision they were taxed to fund for other cohorts, was almost greater than the support they received themselves, leaving them with ‘net withdrawals’ of 5 to 15 per cent. People start off as net welfare beneficiaries as they progress through the education system, and start contributing by paying taxes once they enter work. On average they become net welfare contributors in their late-30s, and become net beneficiaries again in old age as they receive healthcare and pensioner benefits. The net lifetime benefits for younger generations will be decided by future policy choices. As policy-makers wrestle with big questions about the future path of tax and spend we should remember the significant implications for generational living standards and equity.